painless removal adhesive bandages, tapes and dressings for sensitive skin. Let’s be honest: Ripping off an adhesive bandage, tape or dressing can be a real pain. It hurts, particularly if you have sensitive skin. What’s more, simply removing a bandage, tape or dressing can cause frequent skin injuries—skin tears, blisters, damage to hair and healthy tissue — which can impede healing and increase the risk of infection. Each year, there are 1.5 million injuries associated with adhesive bandage removal in the U.S. alone. Comfort Release Bandages. No pain. Plenty to gain. Most medical adhesives often pull and tear skin and hair when the bandage, tape or dressing is removed. 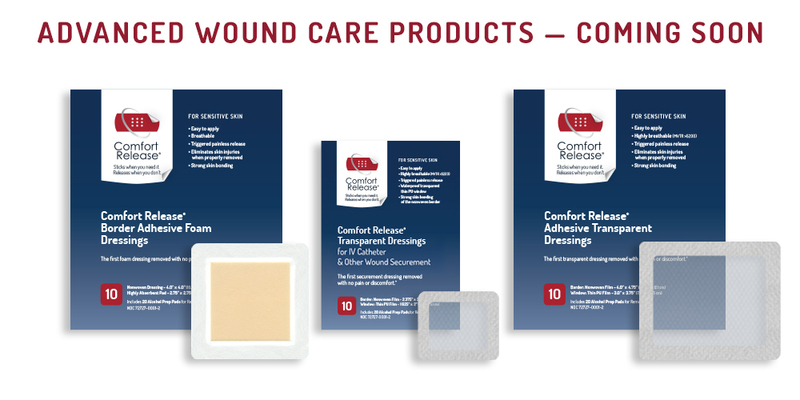 Comfort Release’s products come off easily—with no pain or trauma, no discomfort providing ouchless bandages, tapes and dressings for sensitive skin. Comfort Release dressings are breathable, waterproof, adjustable, replaceable, and will also stick firmly for several days of normal activity. Foam dressings also provide excellent absorption. 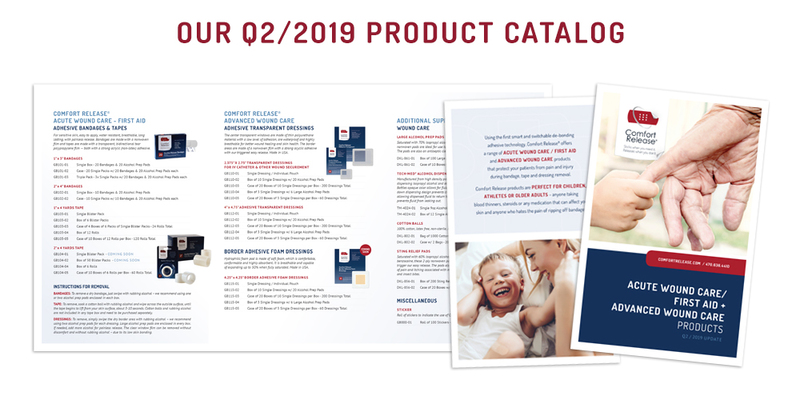 Comfort Release bandages and tapes are also a better-priced option for sensitive skin – recommended by doctors, nurses, caregivers and patients. See our clinical studies and testimonials for results. With just a simple swipe of rubbing alcohol. But more on that in a minute. 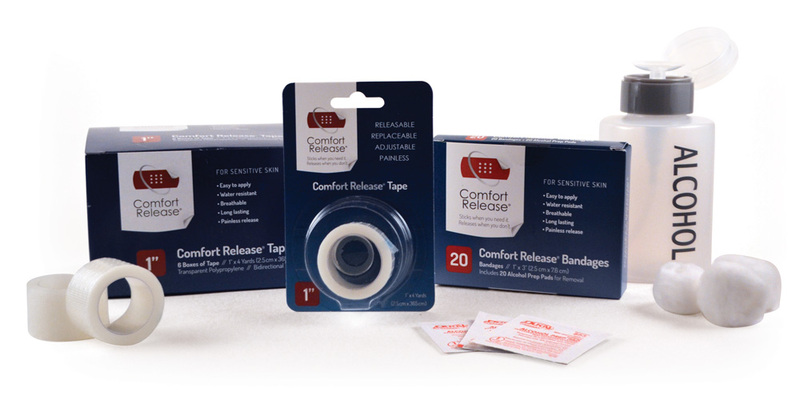 Ask your doctor and pharmacy to use Comfort Release adhesive bandages and tapes.